Support Camp Fire & Purchase Candy! 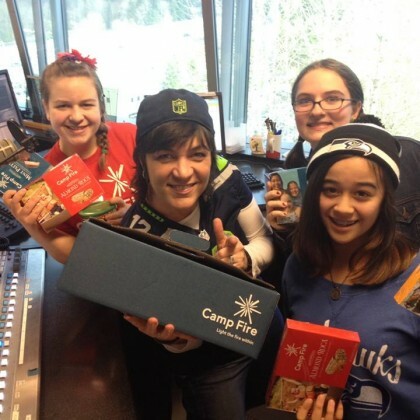 Camp Fire members are eligible to participate in the annual Candy Fundraiser which runs for four weeks in January and February. Youth can sell candy to help earn money for their group, to help pay for special events or summer camp, and to purchase emblems or other recognition items. Additionally, the Candy Fundraiser raises critical funds for our Camp Fire council. Participation in the Candy Fundraiser is not required of our Camp Fire members but is highly encouraged. Through the Candy Fundraiser youth learn community engagement, how to safely sell to the public, communication and public speaking skills, and various selling techniques. Youth will also learn time management and organization skills by setting a candy selling goal. After the Candy Fundraiser is completed, youth with receive various forms of recognition like stuffed animals, special prizes, and emblems depending on the amount sold. All youth who participate are welcomed to celebrate with an Ice Cream Social at the end of the sale!